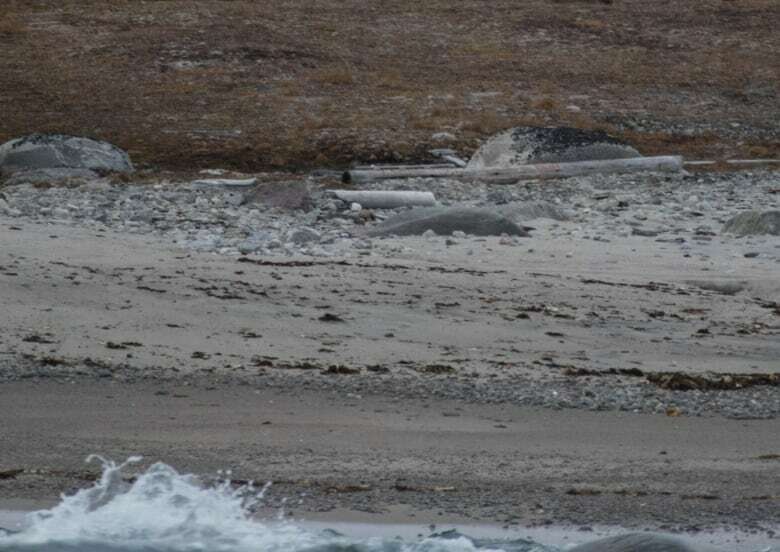 Two Calgary researchers have uncovered the remains of a Scottish whaling ship that crashed on a reef on the east coast of Baffin Island 116 years ago. At least 200 British whaling ships were lost in Canada's Arctic waters but this is believed to be the first of the shipwrecks to be found. With a drone, a dinghy and only an eight-hour window, Matthew Ayre and Michael Moloney located the previously unknown wreckage — and wood from the ship's mast still strewn across a beach. "This is no perfectly intact Erebus, but it's going to tell us a lot about what life was like aboard a whaler," Ayre told the Calgary Eyeopener on Monday. Colonial whalers travelled the High Arctic for centuries, doing "cold, smelly, hard work" in hopes of a big payout from a volatile but lucrative trade, Ayre said. They learned the craft and how to navigate the ocean from Inuit whalers. "There's not much that's known about the history of whaling from a social perspective. Everything that's been written is largely from an economic perspective," Moloney said. "It'd be neat to find personal effects, instruments or whatever to give us insight into how these guys lived." On Sept. 18, 1902, the whaling vessel Nova Zembla hit a reef off a remote harbour on the east coast of Baffin Island near the Buchan Gulf. 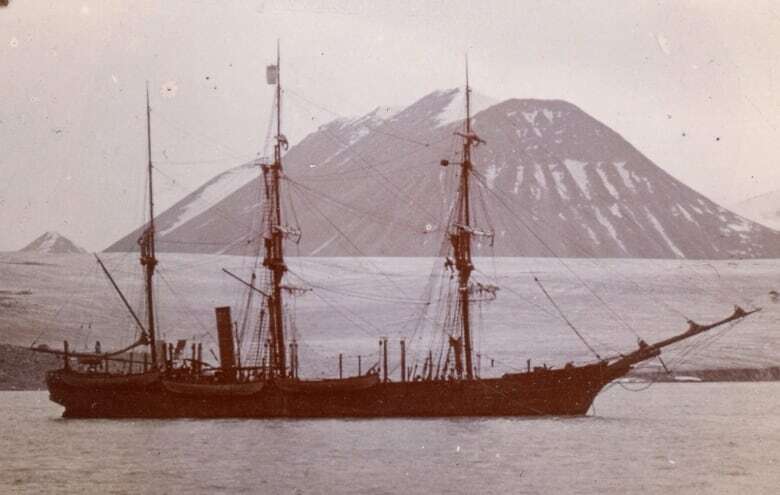 Two other whaling ships rescued the men and recovered its cargo. Ayre was reading through old logbooks when he came across the mention of the wreck. The Diana had returned to the site to salvage the Nova Zembla's rudder and noted that the wreck was still visible up to a year after the crash. Ayre told Moloney and continued to research until he came to believe they could find the wreck. 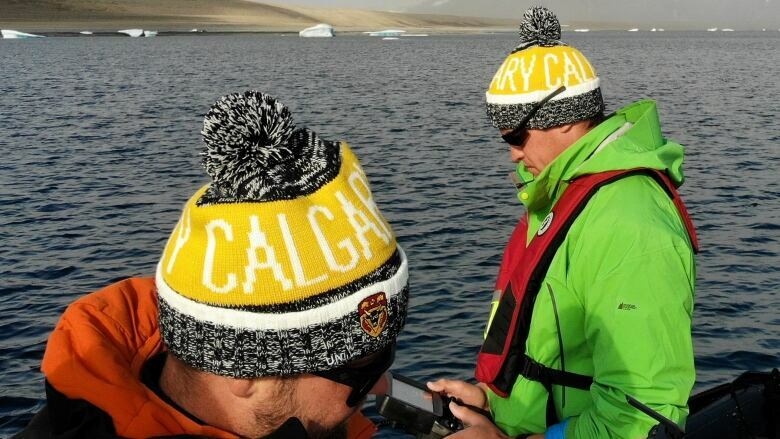 Ayre, a climate historian, and Moloney, a underwater archeologist, are post-doctoral researchers with the University of Calgary's Arctic Institute of North America. They secured the support of the Royal Canadian Geographical Society and passage on a former research vessel-turned-cruise ship run by One Ocean Expeditions. They set off on Aug. 26 from Kugaaruk, Nunavut, aboard the Akademik Sergey Vavilov. 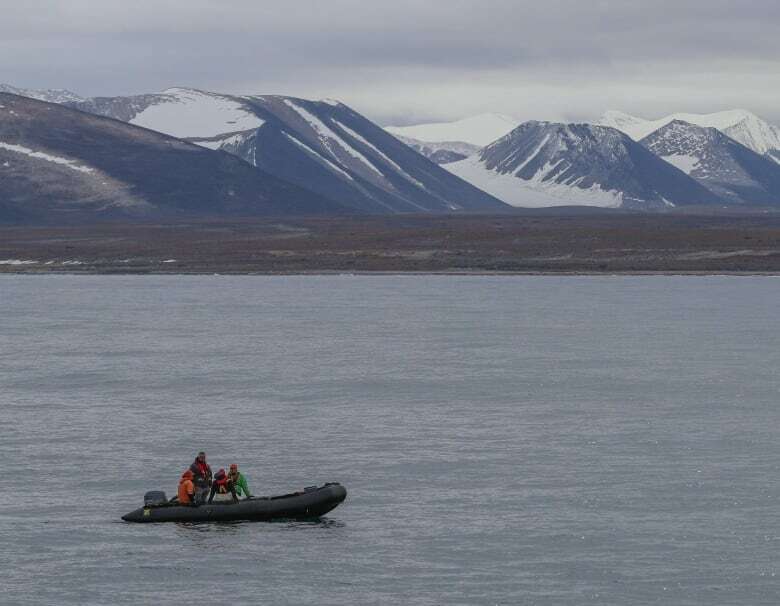 On Aug. 31, they had passed Pond Inlet and arrived close to the reef. The ship agreed to pause the cruise for eight hours — the longest it could stop — so Ayre and Moloney set out at 6 a.m.
"People woke up to see us off," Moloney said. "And then, coming back on board the ship when we completed it, [we] had all these people on the deck cheering.… It was really cool." In an inflatable, rubber Zodiac boat, they used a drone and an underwater robot with sonar to pick up on abnormalities in a five-square-kilometre radius. "It was hunkering down for the long search and so we were out four hours on the sonars in the cold and about metre-and-a-half swell before we ever kind of identified anything," Moloney said. In Ayre's research, he found old newspaper articles with first-hand accounts of whalers spotting stranded sailors on the beach as the morning light broke and having to ride two hours around the rocky outcropping of the natural harbour. "We had the search area, but as we got there, you could start to piece them together in your mind, and go, 'Well, they're probably really done there,'" he said. Through his binoculars, Ayre spotted something on the beach. He sent the drone up, which sent back images of wood with metal rivets sticking out of the sand and links of chain in the reef. "That's a piece of a ship," Ayre said. Their findings even matched their historical research. The wood looks like the main mast, which broke in the crash. 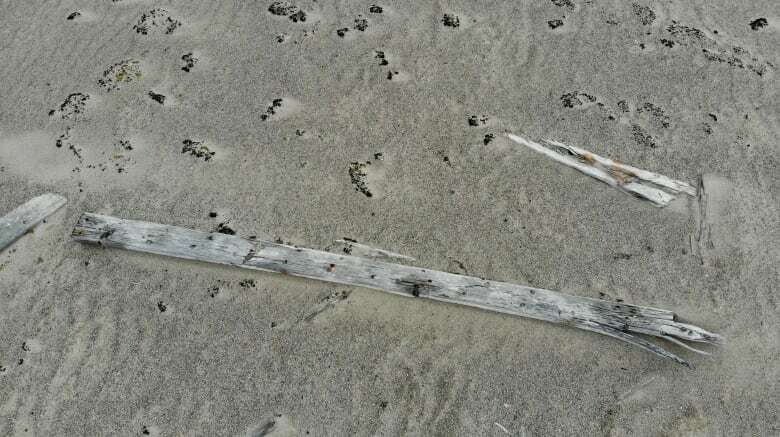 They also found planking timber, rib timber and the mast steps in the sand. In the water, the sonar suggested they had located one of the two anchors, which the crew reported dropping in an effort to avoid hitting the reef. "It survived storms, and that area ices over every year," Moloney said. "The thing is, it's so remote that it's probably been washed up and sitting on the beach for 116 years — and no one's ever come across it because that's the nature of the Arctic." Typically, ice or storms break up and drag away wrecks. In this case, the whaler crashed on the reef close to shore in a natural harbour, so it was protected from the elements. Any ice that formed would have melted, rather than float away. "We'd love to go back. This was an ID-the-location search. Eight hours in total, which is nothing," Ayre said. "Now we want to go back and stay there." For the two who are passionate about the Arctic's shipping history, this wreck still has much to be explored. Although the ship's cargo was rescued in 1902, the rest of the contents likely remain on the ocean floor or under the sand. The group has support from the Royal Canadian Geographic Society for another expedition in 2019. They're seeking further funding, as this expedition will be longer and more in depth. 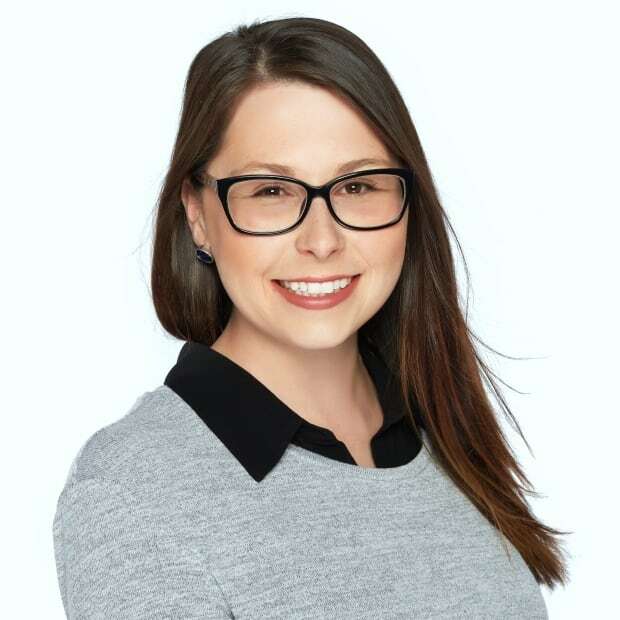 They're also organizing to bring along young researchers from the Inuit community through the Ikaarvik Project, which connects Arctic science-oriented youth with ongoing research. With files from Tricia Lo and the Calgary Eyeopener.